Five stars isn´t enough for this T-shirt. Really good idea to have the bandmembers angryface on it. 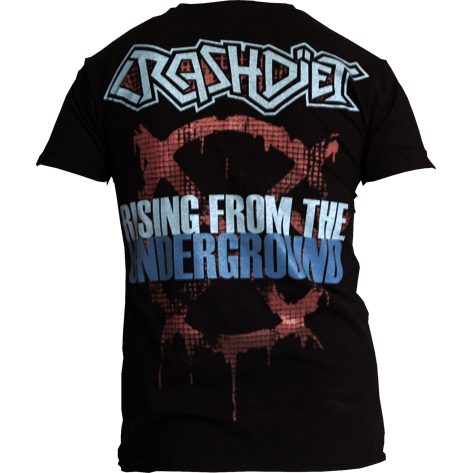 Just look at Eric, He really looks pure evil at this shirt and backprint ``Rising From the Underground´´ makes it even cooler. I like this shirt for the black & blue colors..i'm a huge fan of Internazionale..forza nerazzurri!!! This T-shirt is awesome. 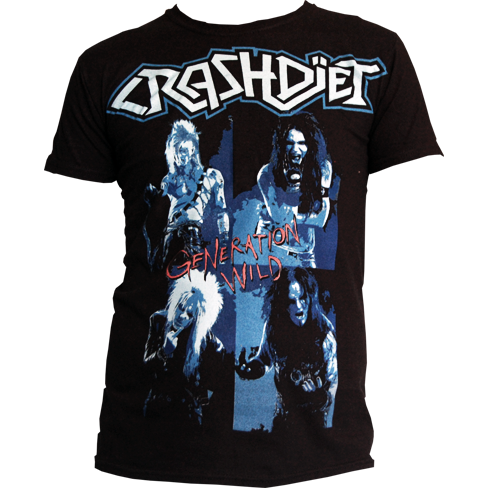 The blue on black stands out so much people have to notice and comment on the shirt.The best T-shirt ive got.Also people are asking about crashdiet which can only be a good thing.